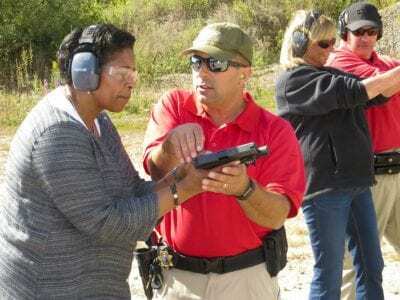 Brewster Superintendent Valerie Henning-Piedmonte receives first hand training from Sgt. Michael Szabo while school Trustee Diane O’Brien, right, gets pointers from Capt. 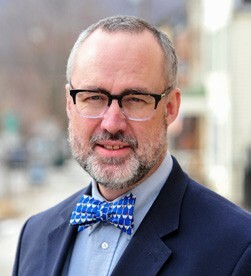 Thomas Velotti. Photo by Eric GrossThe sounds of rapid gunfire permeated the st… Please login below or purchase a subscription to the Putnam County Courier to access this content. 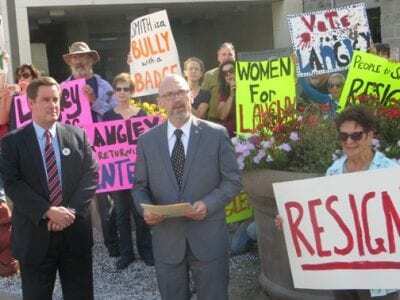 Robert Langley speaks at a news conference in Carmel. Photos By Eric GrossThe Democratic candidate for Putnam Sheriff, Robert Langley, has called on Governor Andrew Cuomo to remove Sheriff Don Smith from office for “violation of his oath of office an… Please login below or purchase a subscription to the Putnam County Courier to access this content. A head-on crash on Route 22 in Patterson early Monday claimed the life of a 56-year-old Westchester man. The Putnam Sheriff’s Department said the tragedy unfolded at 6:20 a.m. when a Jeep Liberty headed southbound and operated by 47-year-old Damia… Please login below or purchase a subscription to the Putnam County Courier to access this content. Clockwise from top left: Budding elementary school cheerleaders take a bow. The school’s Girl’s Varsity Soccer Team rode atop an open Jeep. The Carmel High School Cheerleading Team led the parade. Merchants in downtown Carmel decorated their business… Please login below or purchase a subscription to the Putnam County Courier to access this content. The League of Women Voters of Putnam County, in cooperation with Mahopac Public Library, invites Putnam County residents to attend the Meet the Candidates event on Monday, October 23, 6:00 pm at the Library. This is an opportunity to meet our local c… Please login below or purchase a subscription to the Putnam County Courier to access this content. 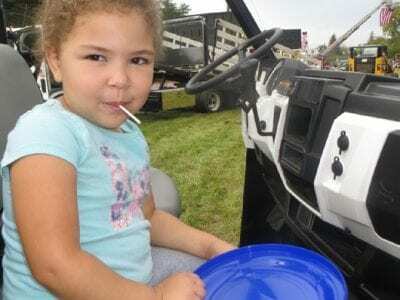 Top: Carolyn Cipriani, 4, of Brewster, enjoys a lollipop while seated in the driver’s seat of an earth mover. Above: One-year-old Jacob Hernandez of Patterson enjoys sitting in a tow truck at the event. By Eric Gross Photos by Eric GrossThe Patterson… Please login below or purchase a subscription to the Putnam County Courier to access this content. Putnam’s first Deputy County Executive and last year’s recipient, Regina Morini, presents the Ruth Dain Voluntary Service Award to Edward Murphy. 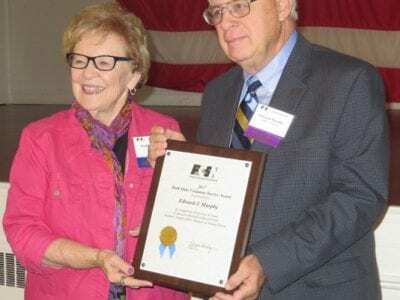 Photos by Eric GrossSeven of Putnam’s movers and shakers were honored last week when the Putnam Communit… Please login below or purchase a subscription to the Putnam County Courier to access this content. Everything Cheap Men’s Rubber Boots, 1st quality , $3.00 “ Pure Gum Boots, Candee and Wonsocket, $300. LOOK OUT For dishonest Dealers who are selling common Boots, dull finish, for Pure Gum. All Pure Gum Boots are stamped “Pure Gum “ on top o… Please login below or purchase a subscription to the Putnam County Courier to access this content.